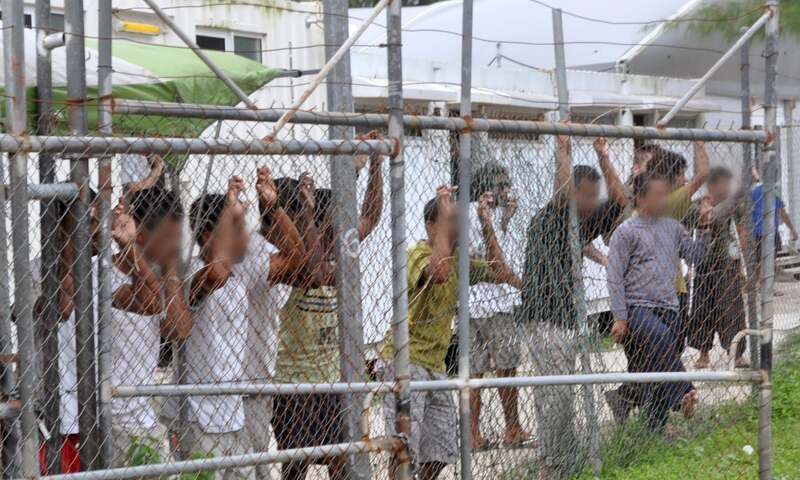 Refugees pick Nauru over US - Rite-ON! Forty of the 300 refugees who left Nauru to resettle in the US have contacted the island nation asking to come back because life in America was harder than ­expected, the Nauruan President has revealed. 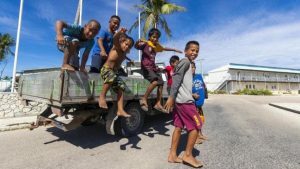 Refugee life on Nauru can include holidays in Fiji, business ownership, free housing and healthcare and jobs in government departments and at the local hospital, The Australian was told during a four-day visit to the ­Pacific island nation to interview refugees and government officials. 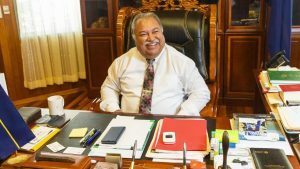 Nauru’s President Baron Waqa said refugees who resettled in the US had contacted his nation’s Departmen­t of Justice and Border Protection and asked to come back. He said that did not surprise him because Nauru was a cheap place to live, warm with a relaxed lifestyle. “The US — it’s a difficult place to live, a lot of competition for work and jobs,” he said. However, Nauru is also a place of uncertainty for some of the ­remaining 450 refugees and 50 ­asylum-seekers who feel un­welcome, highly visible and left behin­d, as the last of the refugee couples with children are airlifted from Nauru to Brisbane on commercial flights. In an interview this week, Mr Waqa said he took his responsib­ility to care for refugees seriously. He believed Nauru had mat­ured in the role and was good at it. Mr Waqa said, overall, the economic benefits of the nation’s second foray into the business of regional refugee-processing outweighed the hurt of being labelled a prison and a hell-hole in the international media. Mr Waqa said his people’s history of exile and persecution made them sympathetic as a nation to refugees. Claims the government mistreated or neglected refugees were untrue and painful, he said. Mr Waqa said he believed few people outside Australia understood that refugees moved freely around the island, that they owned businesses including a barber shop and a cafe, and worked for his government or had fallen in love with locals. 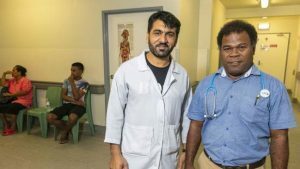 At the $27 million hospital that Australia built in 2016, refugee Mohammad Noor works as a nurse using the qualifications he gained at the International Medical Corps in Afghanistan. The 37-year-old, who is skilled in the operating theatre, is planning the day he can be reunited with his wife and seven children, who remain in Afghanistan. One option open to Mr Noor is to seek to bring his family to Nauru. The island’s government offic­ials say one refugee has already successfully applied for a Nauru visa for his spouse to join him. This year, a Pakistani refugee, who has since been resettled in the US, flew from Nauru to Fiji to celebrate his 21st birthday on a passport issued by the Republic of Nauru. “Yeah, they go on holidays — you didn’t know that,” the ­President said. 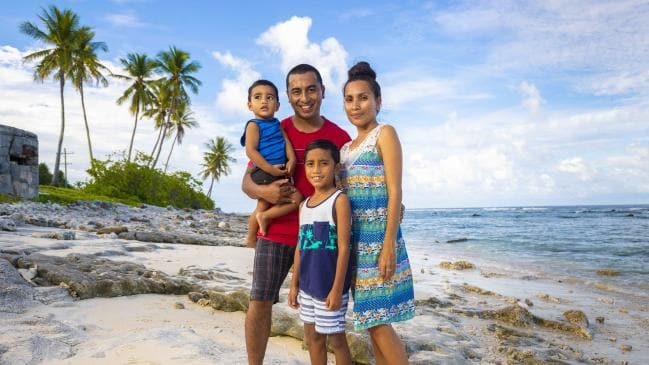 Nauruan parents Maverick and Ziki Eoe don’t recognise their country the way it is depicted in some media reports; they say their island home has adapted well to the government’s decision in 2012 to take 10 per cent of its population as refugees. “The refugees are good people, and people on Nauru are welcoming and laid back,” Ms Eoe said. Mr Waqa lashed Australian-based advocates he claimed had stirred up anxiety and false hope among refugees, while Nauru’s police commissioner, Corey Caleb, said at times more than half of all callouts on the island of 10,000 permanent residents had been for incidents involving refugees and asylum-seekers whom he believed “got the wrong advice” about how to bring attention to their plight and get to Australia. Mr Caleb said the police force had increased from 110 to 130 officers to deal with the cases, which had included allegations that unknown Nauruans committed serious crimes against refugees. He said police found no evidence of such crimes and the ­alleged victims did not want to give a statement. He said Nauruan police were routinely called to incidents of attempted self-harm by refugees that were then photographed by other refugees. “They got the wrong advice, you know — that’s my point,” Mr Caleb said. Some refugees approached by The Australian this week are deeply troubled. Hazara refugees Sayed Zaidi and Yasin Zadeh have been on the island for five years. Mr Zadeh, 29, has been told he will soon go to the US but finds it hard to say if he is pleased about it. His flatmate, Mr Zaidi, 23, said he did not know whether he would be accepted. He said he barely ate and had stopped caring about what his future holds. “We are forgotten,” he said. One Iranian man was due to fly to Australia with his wife and children last month but told The Australian his family’s transfer had been on hold since he was charged by police over an outburst at the offices of a non-government ­agency on Nauru that assists refugees. Police allege he made threats to kill and smashed a computer, while the man said he was only shouting in distress because his children barely ate. “If I was shouting, I was shouting for my family,” he told The Australian. His anger is directed at the Australian Border Force, the authority that has been a presence in the family’s life since their asylum boat arrived at Christmas Island just three days after Kevin Rudd shut the door on boat arrivals on July 19. 2013. “ABF is our God,” he said. Ian Rintoul, of the Refugee ­Action Coalition, said claims that advocates coached refugees were baseless, and nobody who had made that claim had had proof. Not all refugees have felt safe on Nauru. One young father, who said he had Nauruan friends, also told of being identified as a refugee and beaten by locals in the street late at night. The man and his wife did not want their names published in The Australian, but said they worried about the future for their young son while their circumstances were so uncertain. 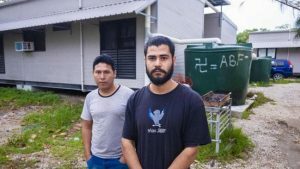 In the small refugee lodge where they live in a one-bedroom house, their refugee neighbours on either side have been flown to Australia. He did not know why. This article is behind a paywall. 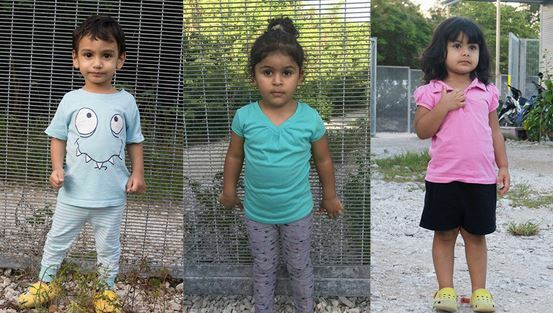 KIDS of Nauru – what about our own homeless kids? SPREAD THE WORD Share this page with your friends and family today. Amongst Christians, a debate about Nauru rarely gets far before someone invokes Jesus. previous post: Amongst Christians, a debate about Nauru rarely gets far before someone invokes Jesus.